Cuarto de Guerra - ¡Ahora en DVD! 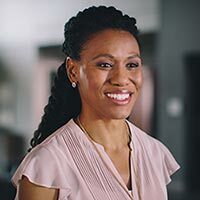 A graduate of Dallas Theological Seminary with a master's degree in biblical studies, Priscilla Shirer speaks at corporate conferences, organizations, and before Christian audiences across the United States and around the world. After 10 years as a trainer and motivational speaker with Ziglar Training Systems, she and her husband Jerry founded Going Beyond Ministries. Priscilla now serves in full-time ministry—speaking, writing, and on video and audio—to spiritually nurture women. Priscilla is the author of Life Interrupted and the Courageous companion, The Resolution for Women among many other books, workbooks, and audio/DVD teaching materials. WAR ROOM is her first major film role. T.C. Stallings is best known for his role as the gang leader in the Kendrick Brothers’ hit film Courageous. T.C. 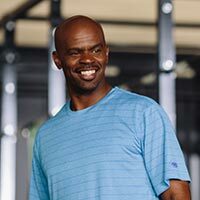 was a college football standout at the University of Louisville and played professionally in the Arena Football League, Canadian Football League, and NFL Europe before getting serious about his longtime passion for acting. T.C. has appeared in films such as Jackson’s Run and Rumors of War. 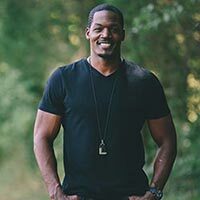 He also serves as the director of student and sports ministries at a church in California. Long active in film (she has featured roles in My Name Is Paul and Mountain Top), and television, Karen Abercrombie plays Miss Clara in WAR ROOM. Besides founding and running the movie production company Handmaiden Entertainment, Karen teaches theater at Angels Take Flight Children’s Theater in North Carolina. The Kendrick Brothers’ WAR ROOM marks Alena Pitts’ professional acting debut. 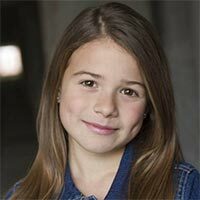 With only school theater on her young resume, Alena jumped at a chance to audition for the role of Danielle Jordan. Now she knows what she wants to do for her career! 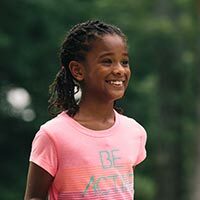 In addition to school and acting, Alena writes for the magazine For Girls Like You, a ministry for girls ages 6 to 11 founded by her mom, Wynter. Alena has interviewed Candace Cameron Bure, Jamie-Grace, and 1 Girl Nation for the publication. Jadin Alexis Harris is eleven years old and makes her film debut in WAR ROOM. Jadin lives with her mother, step dad, and brother in Wilmington, North Carolina, where she attends Northside Baptist Church. An honor roll student, Jadin enjoys studying voice, piano, dance, and acting. Comedian Michael Jr. launched his career at the legendary Comedy & Magic Club in Hermosa Beach, Calif., the frequent stage of Jay Leno. He was the first comedian to appear live via satellite on The Tonight Show. Among many other shows, he’s appeared on Comedy Central; The Late, Late Show; BET’s ComicView; Jimmy Kimmel Live; and The Tom Joyner Show. Known both for his content and delivery, Michael’s material is equally delightful in comedy clubs or churches. He and his wife are the proud parents of five children. WAR ROOM is his first feature film. Beth Moore was 18 years old when she sensed God calling her to work for Him. After graduating from Southwest Texas State University, she married Keith and they had two daughters, Amanda and Melissa. She also spoke at luncheons and retreats, worked Mother’s Day Outs, and taught Christian aerobics. 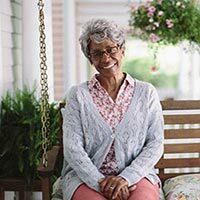 At a Bible doctrine class at her church, she learned to love God’s Word, and in 1994, she founded Living Proof Ministries to teach women how to love and live on Scripture. Her many books and Bible studies include Breaking Free, Believing God, The Patriarchs, and James: Mercy Triumphs. Beth Moore Bible study groups meet worldwide and her Living Proof Live conferences have been in all 50 states. In 2004, she began Living Proof with Beth Moore, a radio program on OnePlace.com. 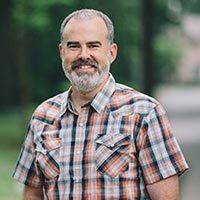 An award-winning screenwriter, film director, and actor, Alex Kendrick is president of Kendrick Brothers Productions. 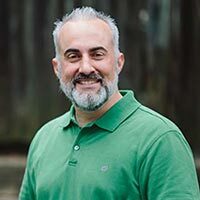 Besides co-writing, directing, and editing Flywheel, Facing The Giants, Fireproof, and Courageous, Alex has acted in seven feature films and TV productions. A graduate of Kennesaw State University, Alex has a bachelor's degree in communications. Starting with Facing The Giants in 2006, the films directed by Alex have grossed a combined $78 million at the domestic box office, won festival awards, and become chart-topping DVDs globally. A No. 1 New York Times bestselling author and screenwriter, Stephen Kendrick produced the films Flywheel, Facing The Giants, Fireproof, and Courageous. After developing each screenplay with his brother Alex, Stephen builds strong, unified teams; guards the heart and quality of the finished product; and works to ensure distribution for the greatest impact. Together, Stephen and Alex have produced four films grossing a combined $78 million at the domestic box office with distribution in 76 countries. An award-winning member of the Producer’s Guild of America, Gary Wheeler is president of Level Path Productions. Repeatedly hired by authors and television networks like INSP and UP, Gary has produced or directed a dozen feature films and TV shows. 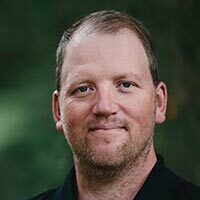 A North Carolina native, Gary has maintained a great reputation with actors and crewmembers and a vast understanding of local resources and locations. He has been associated with films such as Heart of Christmas, Jimmy, Mountain Top, and The List.